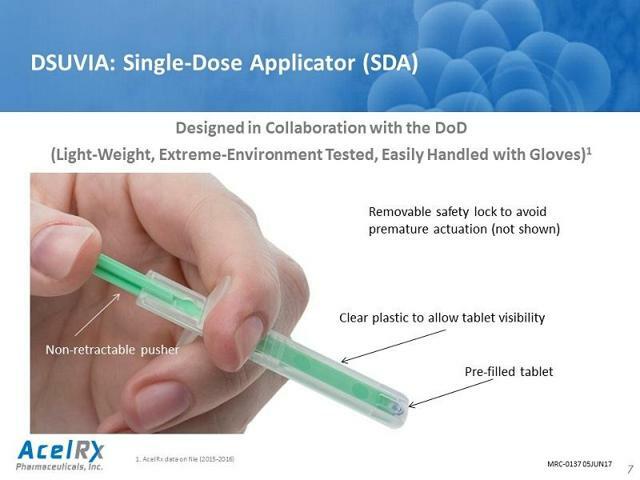 The new drug, sufentanil (brand name Dsuvia), is tiny, less than 3 millimeters in diameter, but packs a powerful punch. So powerful, in fact, that critics and the head of the FDA’s advisory committee on painkillers advised the agency against approving the pill. In an unusual move, FDA Commissioner Scott Gottlieb issued a statement saying he would seek more authority for the FDA to consider whether there are too many similar drugs on the market, which would clear the way for the agency to turn down future applications for new opioid approvals. Critics of the FDA have been pushing for a more holistic approach to narcotic painkillers, instead of the FDA’s practice of evaluating each individual opioid application. Opioids killed a record 49,000 users in 2017. Read: The Opioid Crisis Deemed a National Emergency: So What Happens Now? Slimy Tactics to Get Approval? But critics say the FDA took a detour around its normal vetting process. The FDA advisory committee chair and the consumer advocacy group Public Citizen say Dsuvia is an unnecessary medication and that its size and potency will appeal to those looking to sell or misuse it. Public Citizen contends the FDA sought to “tilt” the vote’s outcome toward approval. Unfortunately, Brown said he was unable to attend the advisory committee meeting and further express his disapproval on Oct. 12 due to a scheduling conflict – one that he had informed the FDA of months in advance. Brown said the committee opted to vote without him. Members of the agency’s Drug Safety and Risk Management Advisory Committee were also absent from the meeting. According to Public Citizen, members of that committee weren’t even invited to attend. Furthermore, U.S. senators Ed Markey, Claire McCaskill, Joe Manchin, and Richard Blumenthal sent a letter to Gottlieb ahead of the vote echoing the concerns of Brown and Public Citizen and asking the agency to deny approval to Dsuvia until the full drug safety committee were allowed to participate. The FDA approved the drug anyway.